0 Comments Published by KL Ocs Kid on Sunday, July 8, 2007 at 11:28 PM. Cardiff City are trying to persuade former England striker Robbie Fowler to join the Championship club. Bluebirds chairman Peter Ridsdale had previously refused to confirm they had approached the 32-year-old, who was released by Liverpool this summer. But Ridsdale told the Liverpool FC website: "We have offered an attractive package and are hopeful Robbie will decide to come to Cardiff City." Cardiff face competition from other clubs, thought to include Rangers. The Scottish Premier League giants, and their Glasgow rivals Celtic, are understood to have sounded out Fowler about a move north of the border. But Fowler's adviser George Scott believes Scotland is an unlikely destination for Fowler. "I can't see Rangers or Celtic being an option. They have each got too many strikers on their books and would need to offload a couple first," said Scott. "The one thing Robbie knows he wants is regular first-team football. "We have got eight offers on the table and Robbie is considering the lot of them. "Could it be at Cardiff? Why not? I think Cardiff, if they have the ambition, is the sort of place Robbie would thrive at." However, Scott says he has yet to receive a formal approach from Cardiff, who could struggle to afford Fowler unless there is much goodwill from the player. The forward is financially secure, thanks to shrewd property investments, and it is possible he could take a drastic drop in wages from the £50,000 a week he was on at Anfield. But failing that, Cardiff would either need to shatter their wage structure - which is unlikely given the financial constraints caused by building a new stadium at Leckwith - or put together a huge sponsorship package. A more likely destination at the moment appears to be Australia, with Australian FourFourTwo reporting that Fowler is expected to travel Down Under next week for talks with Sydney FC club officials. Major League Soccer side New England Revolution are also thought to be courting Fowler, who won 26 caps for England and scored seven goals. One thing that may count in Cardiff's favour is that Fowler has a young family and may not want to drastically uproot them by moving abroad, far away from friends and family. He made his Liverpool debut as an 18-year-old in 1993, scoring 171 goals in 330 games before joining Leeds for £11m in 2001 and then Manchester City for £6m in 2003. 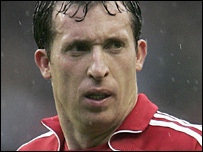 Fowler returned for a second spell at Anfield in January 2006, although his starting appearances were limited.